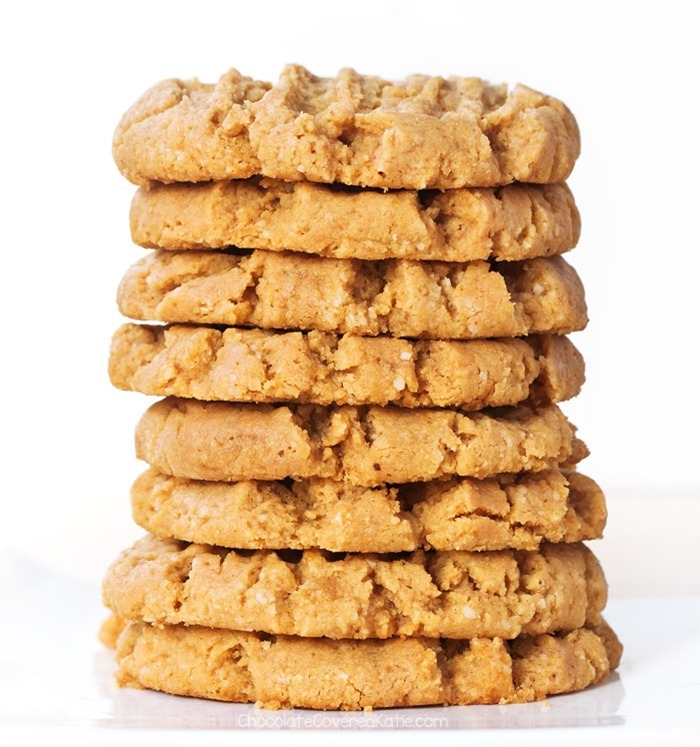 Soft, chewy, homemade vegan peanut butter cookies. 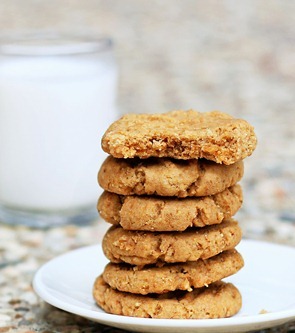 These vegan peanut butter cookies are impossible to stop eating!!! 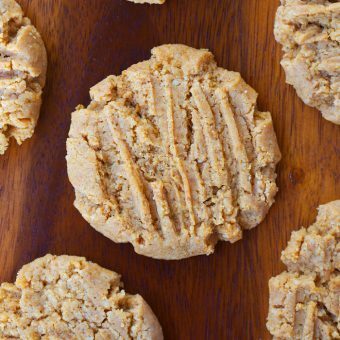 It’s been over six years since I first shared the recipe for these peanut butter cookies on the blog, and yet it is still one of the most popular recipes I’ve ever posted, with readers writing in pretty much on a daily basis to say how much they love these cookies. 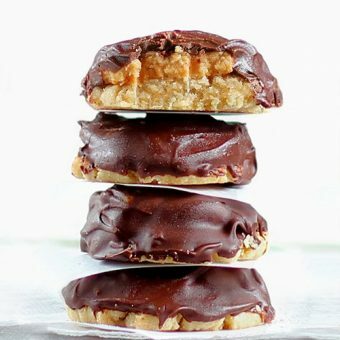 One reader even emailed me to say she’d entered the recipe into a contest… and these peanut butter cookies took home first prize! 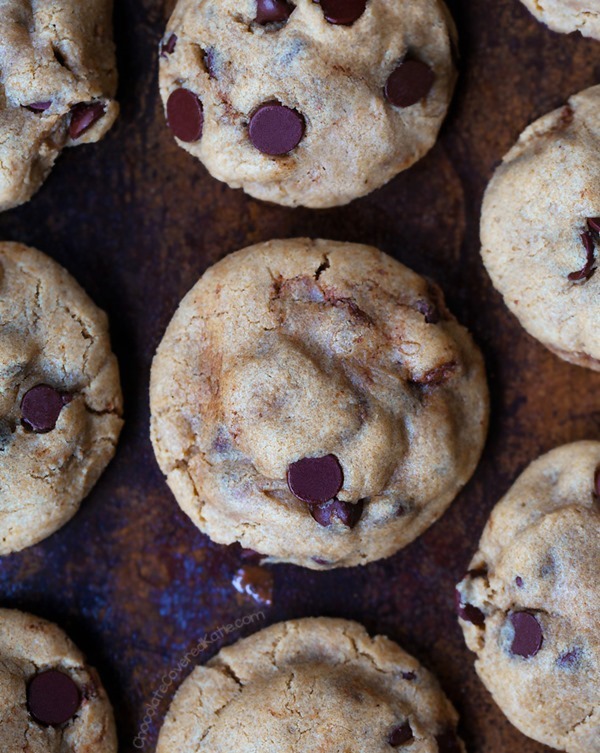 The cookies are so deliciously light, soft, chewy, and better than any other peanut butter cookie—vegan or not—that I’ve ever tried. 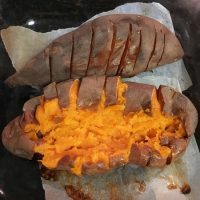 The first time I made the recipe, I remember being shocked it could possibly be vegan. How could there be no eggs or butter?!?! They tasted way too good! The recipe has another secret: applesauce! 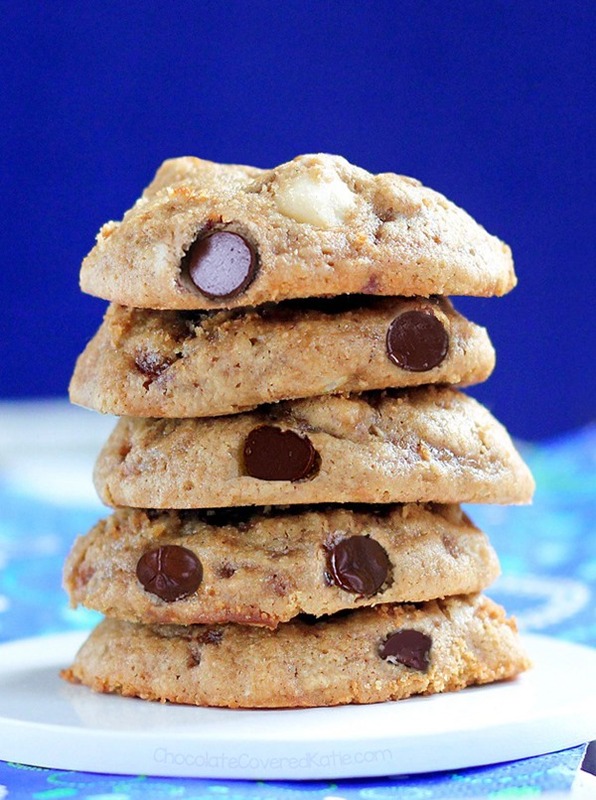 It makes these cookies so amazingly melt-in-your-mouth soft! Discerning eyes might notice that although I roll the cookies into seven balls in the video, only six cookies come out of the oven… This may or may not be due to the fact that I ate one of the cookie dough balls instead of baking it with the others. My favorite part of vegan baking is that, since there are no raw eggs, you get to eat as much raw cookie dough as you could possibly want. To be honest, sometimes when I make these cookies, none of them make it into the oven! 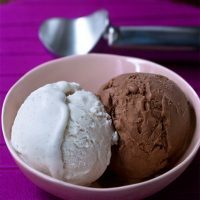 If you’ve been reading the blog for a while, you probably remember the original version of the recipe, posted back in 2011. 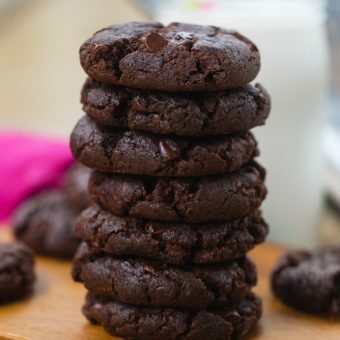 It’s become so popular that I went back to it this past weekend to see if I could get the cookies even healthier while keeping them just as soft and perfect. I was indeed able to decrease the sugar from the original version, and they are still just as delicious! P.S. Be sure to also try my Peanut Butter Pie (No Bake), because it is a huge reader favorite. Combine dry ingredients in a mixing bowl. If your peanut butter is not stir-able, gently warm to soften. Add all remaining ingredients to the mixing bowl and stir to form a dough. 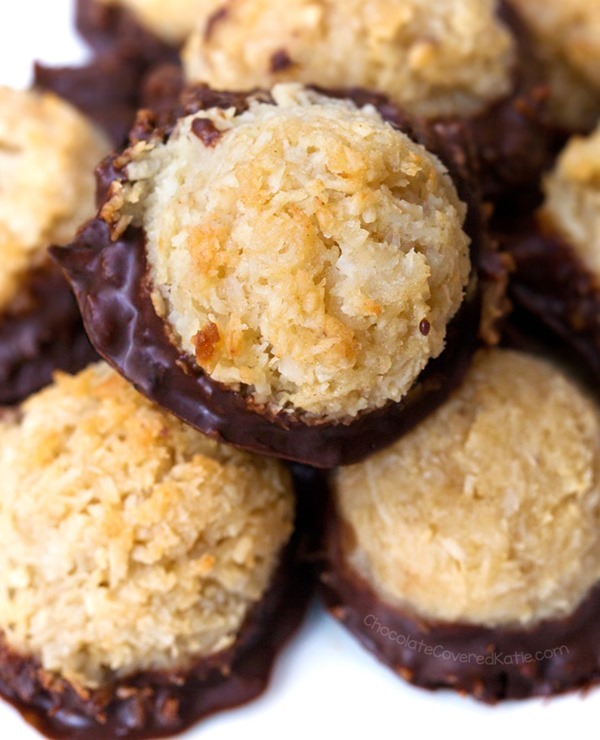 Roll into cookie balls. 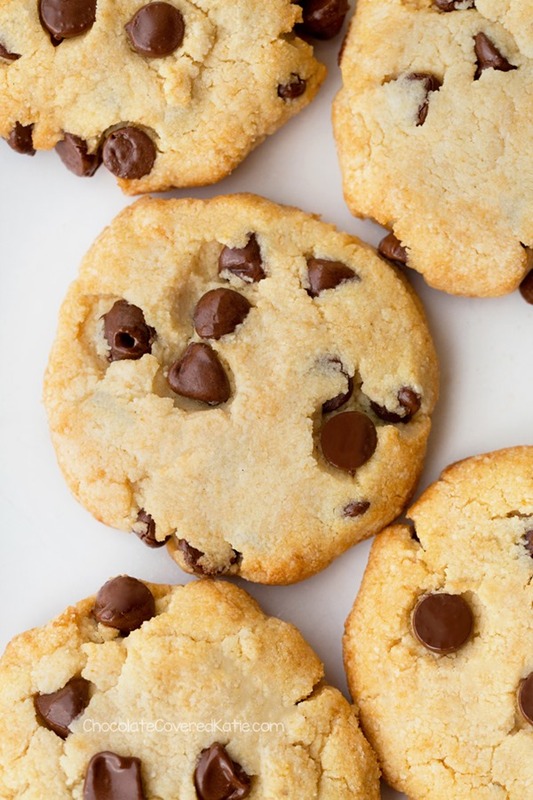 If you want soft cookies, refrigerate the dough at least an hour. 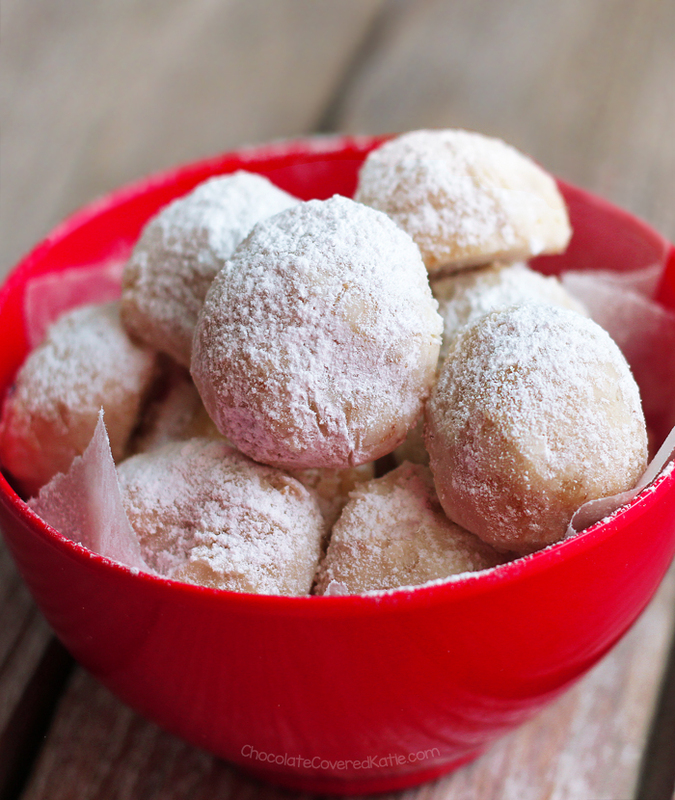 (You can also freeze cookie dough balls to bake at another time if you wish.) 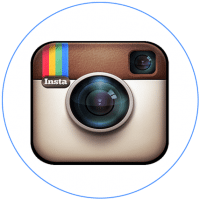 Bake in a preheated oven (350F) for 8 minutes. The cookies will look quite underdone when you take them out. Let cool for at least 10 minutes before removing from tray, as they firm up while cooling. 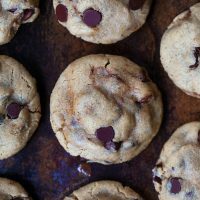 Have you ever made vegan cookies? Or have you ever made any vegan dessert? The best part about vegan peanut butter cookies is the lack of raw egg in the batter. So no one can stop you from eating as much cookie dough as you want! 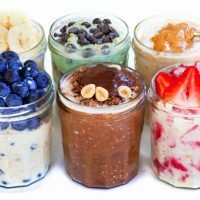 For more peanut butter recipes: 50+ Healthy Peanut Butter Recipes. Just a tip after decades of baking. In general, peanut butter, banana, and applesauce recipes tend to do ok without eggs, as these ingredients often act as sticky binders to hold ingredients together (the applesauce, not as much). Applesauce when added to cookies, tend to take away the crunch, and create a more cake-like cookie. For serious cookie lovers, this may be disappointing. 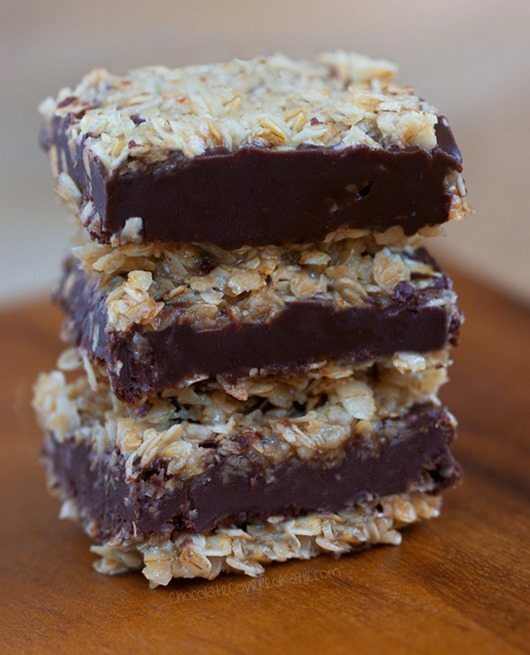 If you try this recipe, you might want to “half” it – to see if you like the texture. I personally prefer PB cookies that have a texture more like a shortbread cookie, but that’s me, and cookies are my number one obsession in life. Very picky. Saying that, I am still going to make these out of sheer curiosity. 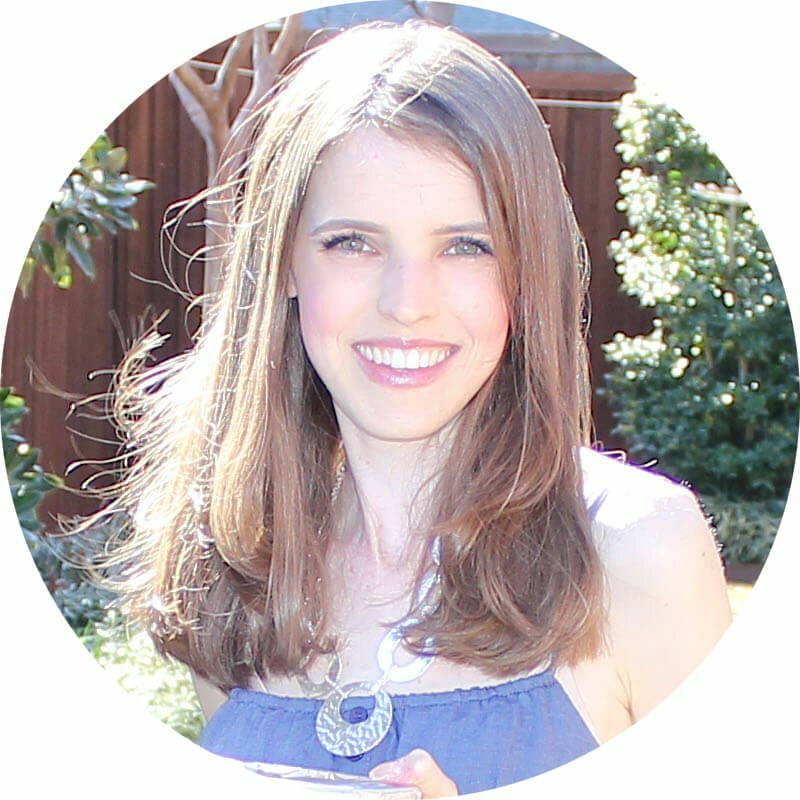 As to this website blog…..absolutely superb Katie! I am without words at your talent, creativity, and imagination. You are a very very talented lady. Thank you! thanks for this.. Me and my bf are avoiding eggs due to mild-ish allergies and we sure miss them, especially when it comes to baked goods. I have yet to try applesauce as a replacement. Ground flax seed and water replace eggs, no need to use too much. 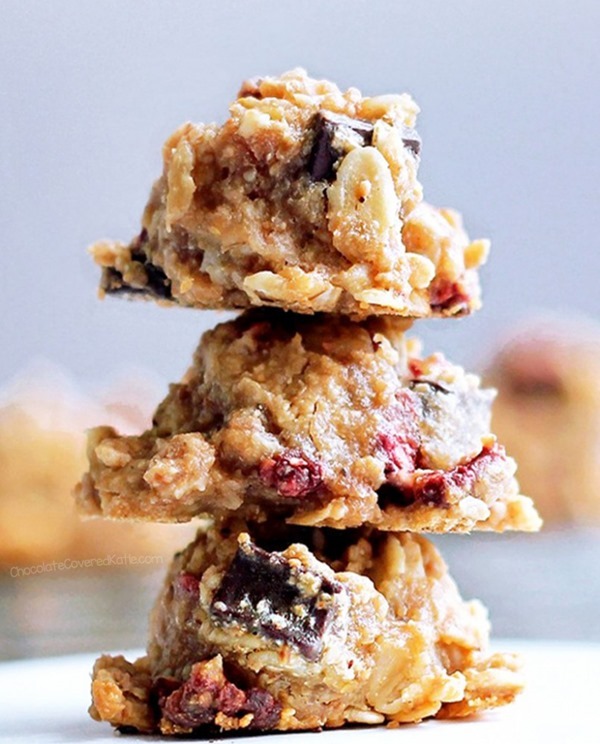 Do you know how to make crunchy vegan cookies without vegan bugger or tons of added sugar? I’m trying to make a crispy PB cookie (like shortbread) but they all turn out cake-like. I made these with 1 more tablespoon of oat flour, flattened them with a cold fork, and baked it for about 10 minutes. These version was much crispier than the first time I made them according to the recipe. 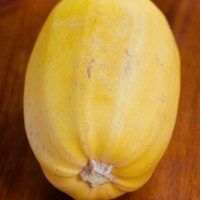 I imagine you could sub pumpkin or zucchini puree, but would then have to add a bit more sugar And the pumpkin would definitely impart its own flavour, which could be yummy depending on your preferences. I subbed mashed banana because I didn’t have any applesauce on hand. They have a very slight hint of banana, but they’re really good. I subbed a flax egg for the applesauce. Worked like a charm. Sounds so good! Quick question: Do you think it would be possible to scale back on the applesauce and use a date paste to make these sugar free? Either way, I am totally making these!!!! No clue, but if you try it I’d love to know! 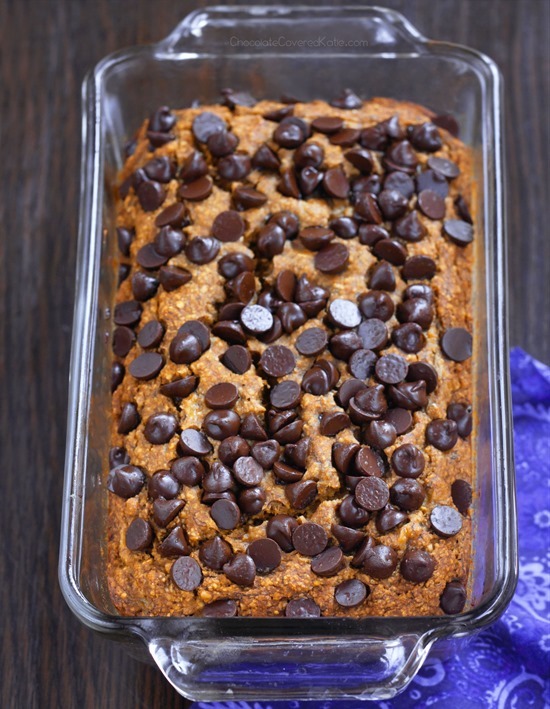 Ironically, I just posted a recipe for cookies sweetened with dates! We’re on the same wavelength! I’ve looked up the conversion to use my favorite all natural sugar substitute. For my TRUest favorite, it’s 6 packets that equal 1/4 cup. I have tried using date sugar in place of sugar and they just did not come out as yummy as the original recipe. They were OK but not amazing.. 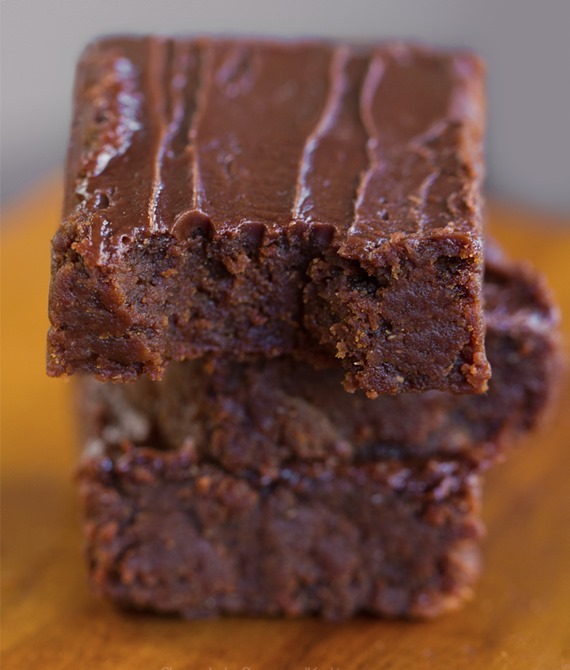 Dates are pure sugar, so how would using them instead of Applesauce be sugar free? My thoughts exactly! Maybe the op wanted to sub dates for applesauce, and because dates are sweeter (and contain more sugar) than applesauce, they could eliminate the 1/3 cup of granulated sugar. Oh this recipe came one day late for me (made some peanut butter cookies last night), but I can’t wait to try it! I made some last night using maple syrup instead of sugar and applesauce, but this sounds even better! Thanks for the recipe! 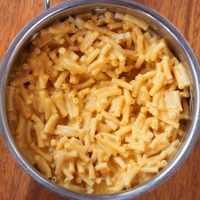 Does maple syrup work better than honey for recipes like this as a replacement to sugar? I’m glad you posted this, because it makes sense that you’d get rid of the applesauce with this substitution. 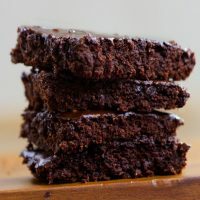 Check out this guideline from King Arthur Flour on substituting liquid sweeteners! I used maple syrup instead of sugar for these cookies. I added extra tablespoons of flour based on the King Arthur suggestion, and I also kept in the listed amount of applesauce. My cookies were super soft/cakey, but I liked it that way! I feel dumb for asking, but is it really 3 T of flour? I can’t wait to try these! Yes! I use less flour so they’ll be less doughy and the pb flavor/texture will show through more :). Can the flour be almond flour or oat flour or coconut flour instead? If so, which of these substitutions do you recommend Katie? And can I replace the sugar with maple syrup? 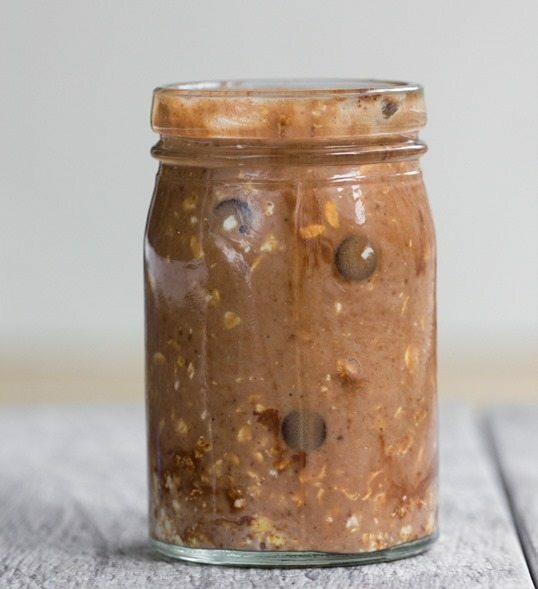 Some peanut butters are runnier than others, especially if it’s warm in your kitchen. Just add a little more flour and you should be fine! You can also put the dough in the fridge for a little while. 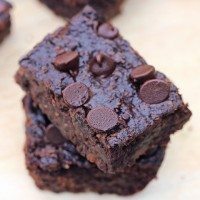 I have made so many vegan desserts since becoming a blogger and stumbling into the food blogging community. Mostly the vegan blogs. 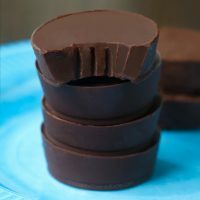 It’s funny how people think they will taste horrible but they are, in my opinion, WAY better than non-vegan desserts. Congrats on 10 years of veganism! I’m slowly making the transition into veganism myself. And I know what I’m baking today. Peanut butter cookies are the best. I’ve been baking vegan for a few years now,but I avoid recipes using applesauce because I’m afraid it will tast apple-y. (I like apples,but not in cookies!) Do these taste like applesauce? No not at all! I usually don’t like using applesauce in a recipe either, because it can sometimes make things taste gummy. But these aren’t gummy, and they only taste like peanut butter :). These look absolutely delicious! But I have a rather large problem…I live in Spain and I’ve looked everywhere and I can’t find applesauce!!! Is there something else I could use? Hmmm… I’ve only ever tried them with applesauce. Maybe cook apple and then puree it to make your own? Or maybe pumpkin or oil, but I haven’t tried either of these. 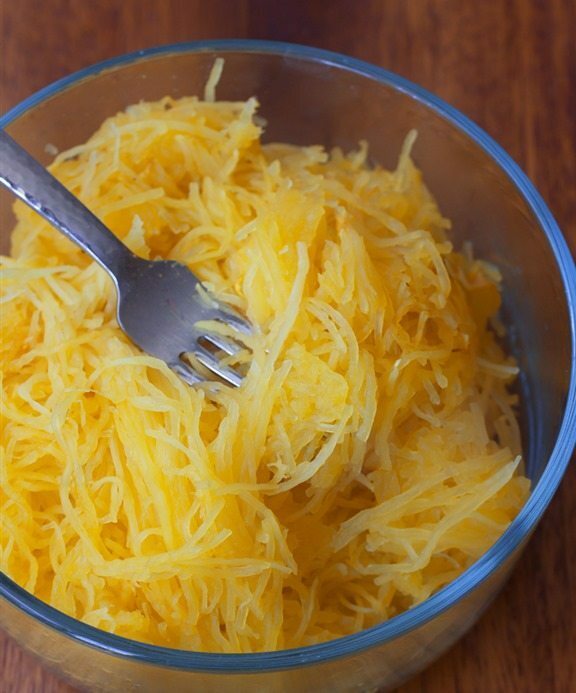 I actually tried substituting soy yogurt and they turned out great! I made raw applesauce in my vitamin by just pureeing a whole apple With the skins and made the cookies with that and it turned out beautifully. I used a quarter of an apple in the food processor after grinding 3T oatmeal into flour. Worked like a charm! Cookies were amazing.. Thanks again Katie! Have you looked in the baby food section for apple sauce? I was vegan for a while and tried making peanut butter cookies once. I was SO excited to try them-until I took them out of the oven. All you had to do was barely poke them and they would crumble… Oops 🙂 I’m definitely going to try these though! I used to make peanut butter cookies all the time with my mom and brother! We’d always make some oatmeal raisin too for my dad… he’s allergic to peanuts. poor guy. My favortie vegan baking book is Babycakes. 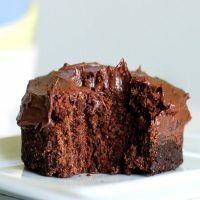 Babycakes is a NYC bakery that is vegan and mostly GF. These baking books are fabulous (she has 2 out). 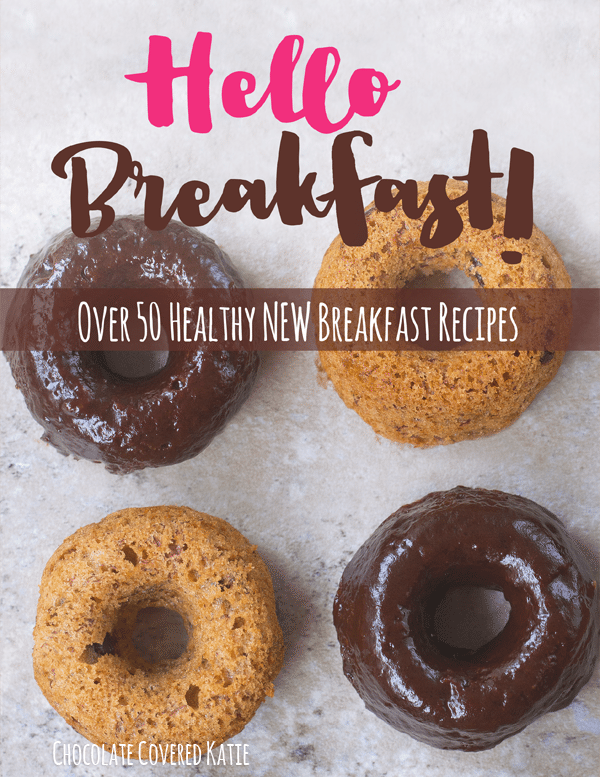 They contain great pictures with every recipe and a little story behind each recipe. 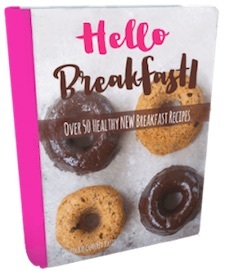 And best of all they are easy to follow and even my husband will eat these healthier versions of great treats. Oh and they are refined sugar free too! Ooh I love soft cookies, the softer the better! I really like peanut butter but haven’t made peanut butter cookies before, crazy!! 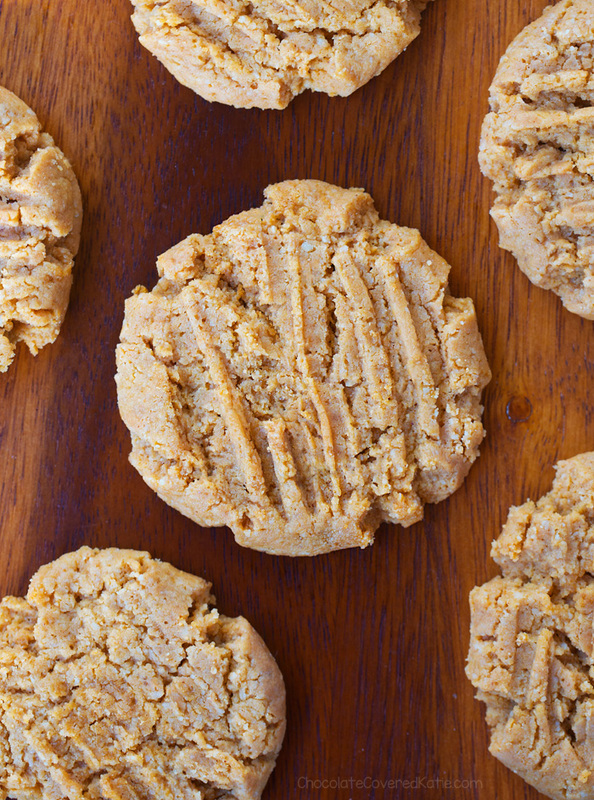 Soft peanut butter cookies are the best! I am so glad you posted these! Congrats on 10 years as a vegan too! I recently began to experiment with vegan baking. I have only made your blondies and a vegan pie thus far. Hopefully, I will make some more items soon because both were a success! I love PB cookies. Oh my! Yum! I always sub applesauce for oil in baking and no one ever knows! It makes it so much healthier! Haha! I never ate cookie dough as a kid; I pretty much thought raw eggs equaled death. But now I eat mostly vegan by default, because of my other dietary restrictions. This Thanksgiving I happened to mention to my mom (as I licked batter off the spoon from one of your recipes) that when I do make the decision to officially go vegan, it will probably be 10% for the animals, 10% for the environment, and 80% because I want to eat raw batter. I definitely like eating raw batter more than baked cookies :).